Mumbai: Actor Tiger Shroff will be seen turning nearly bald in the upcoming film Baaghi 2. In the film, Tiger will don two looks, read a statement. The film's first poster, released in May, unveiled his first look. Holding a rifle and flaunting his toned physique, the actor seemed to be in a war mode in the first poster. The second one is yet to be unveiled. 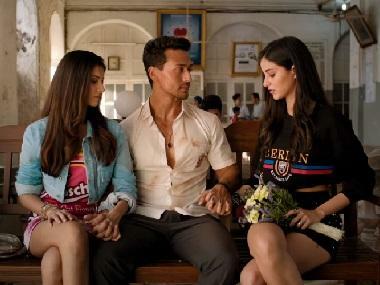 Produced by Sajid Nadiadwala under the banner Nadiadwala Grandson Entertainment and presented by Fox Star Studios, Baaghi 2 is directed by Ahmed Khan. The film is scheduled to release on 27 April 2018.